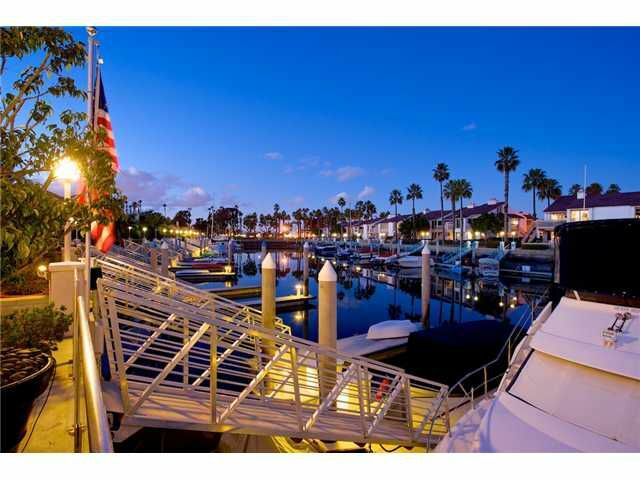 Love is in the air in this exceptional Coronado Cays waterfront town home! Turn key condition. Amazing kitchen boasts of a 6-burner Viking gas stove, wine cooler, granite counter top, marble & granite floor. Relax in the living room by the gas fireplace & enjoy the view. Master bedroom is fit for a movie star! There is a balcony, gas fireplace & a TV that pops up from a built in cabinet. Enjoy the morning sunrise from your east facing patio.